Hasco, the Haitian American company, was an American business venture which sought to produce and sell sugar and other goods in Haiti and the United States. Hasco was in operation from 1912 until 1987 when the company shut down due to contraband sugar that was being smuggled in to Haiti from the Dominican Republic. 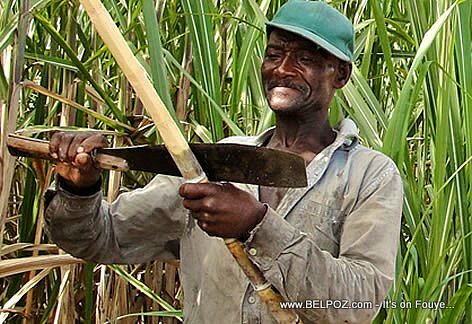 The irony is, the Dominican sugar that crushed sugar production in Haiti was being produced by Haitians working in slave like conditions in the Dominican sugar plantations, also known as Bateys. Due to the Hasco shutdown, 3,500 people lost their jobs at the Port-au-Prince sugar refinery and about 40,000 Haitian farmers who were contracted to supply sugar cane to Hasco lost that opportunity. Since then, Sugar is no longer manufactured in Haiti. Nope, Haitians consume imported sugar everyday! my understanding is that HASCO exploited all of its workers in slave like labor in the fields and the refinery; and much of the profits left the country since this company was owned by Americans. Haitians did not benefit from this industry. this company was a part of American imperialism in Haiti.